The example "Read text file using Stream" return result as String. It is hard to use. To make use of it, we always have to parse as meanful items. 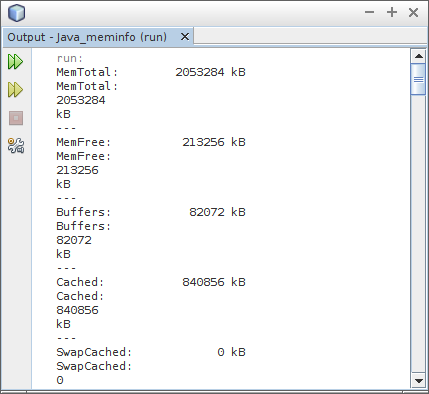 This example show how to parse the file "/proc/meminfo". Next post show how to display it on TableView.